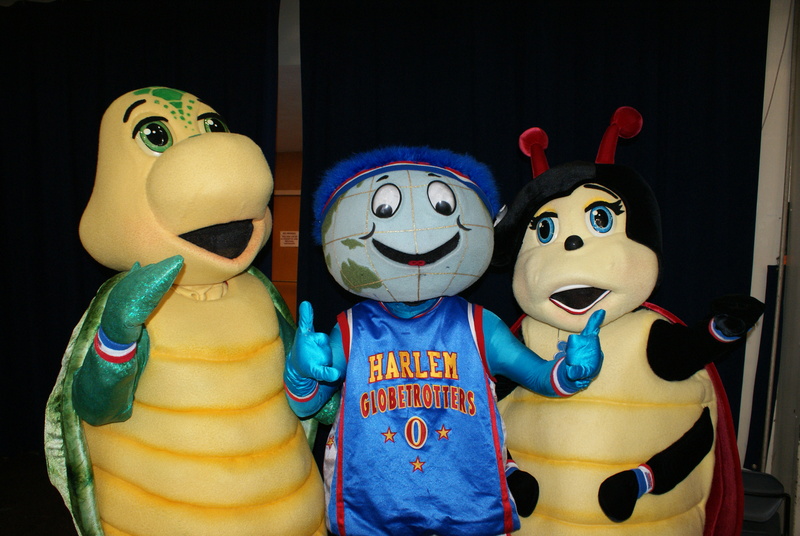 The famous Harlem Globetrotters entertained people of all ages at the Neal Blaisdell Center on Saturday, April 26th. It was a day full of pre-game festivities followed by a delightful exhibition game. When the doors first opened, HiTel FCU had a table set up for a drawing to win two side line tickets, and the lucky winners were announced just minutes before the game. Both our athletic mascots took the court as they were announced as “Honorary Globetrotters Team Captains!” Yoko and Kalea received a certificate of appreciation and had a paparazzi photo shoot with some key members including players, coaches, and their mascot Globbie. This entry was posted in CU News, Kalakoa Musings, Uncategorized and tagged basketball, Bishop Street, community, credit union, Downtown, entertainment, ewa beach, family, finance, fun, Globbie, Halekulani, Harlem Globetrotters, hawaii, hawaiian tel fcu, hitelfcu, honolulu, Kaimuki, kalea, Kalihi, Kapalama, kapolei, kunia, mccully, mililani, NBC, Neal Blaisdell, Schofield, Wahiawa, Waikiki, waipahu, Wheeler AAF, yoko by Hawaiian Financial Federal Credit Union. Bookmark the permalink.